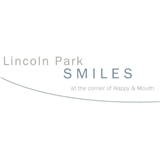 Lincoln Park Smiles (Chicago) - Book Appointment Online! Lincoln Park Smiles was conceived to provide dental care in an ethical and compassionate environment, where our patients become friends and our team members are family Combining decades of experience with youthful energy and enthusiasm, dental care from Lincoln Park Smiles is unsurpassed in terms of quality, patient outcomes and longevity of results. We are widely regarded as top dentists in the Chicago-area. If you are searching for down to earth dental professionals that care far more about your oral health than their own egos, entrust your smile to the team at Lincoln Park Smiles.